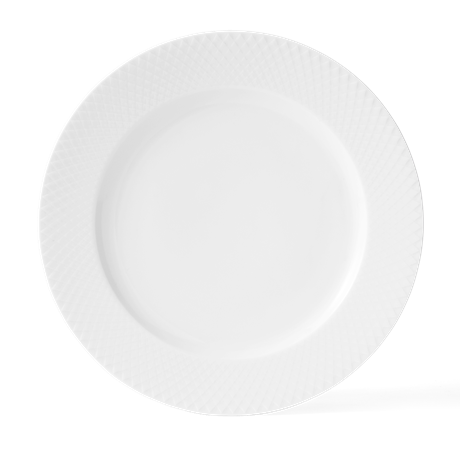 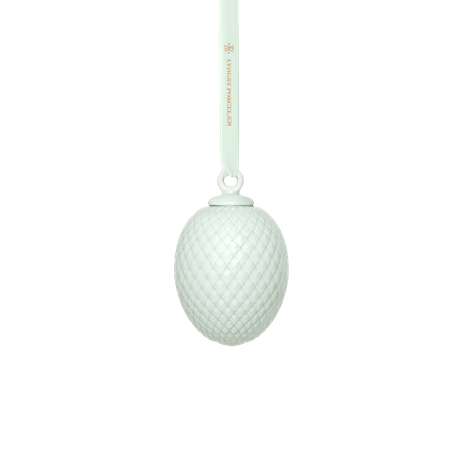 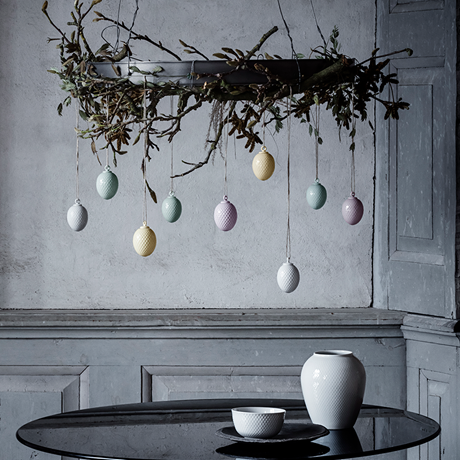 Elegant light green Rhombe Easter egg by Lyngby Porcelæn. 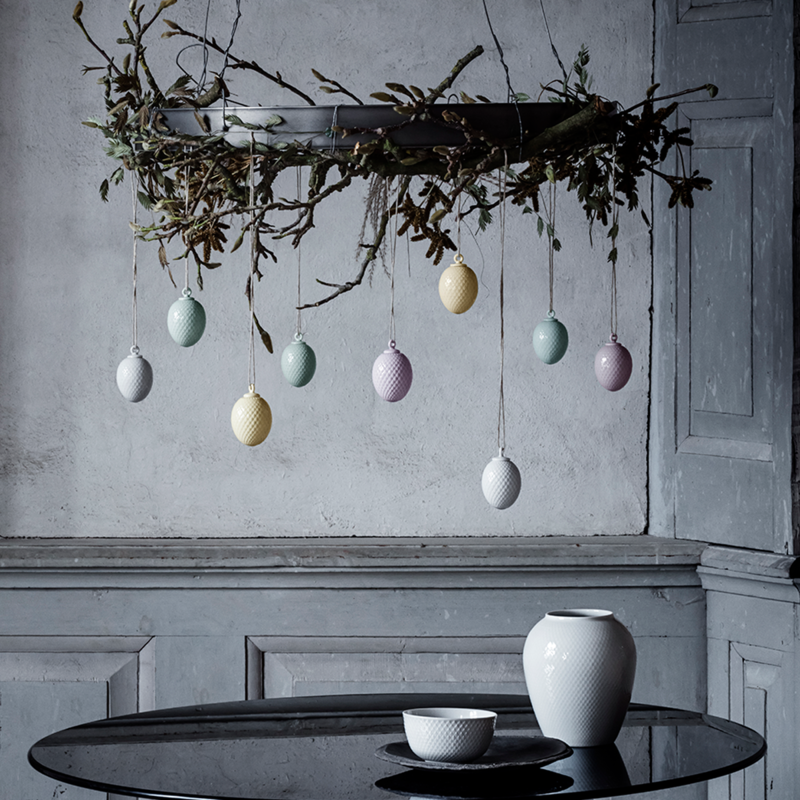 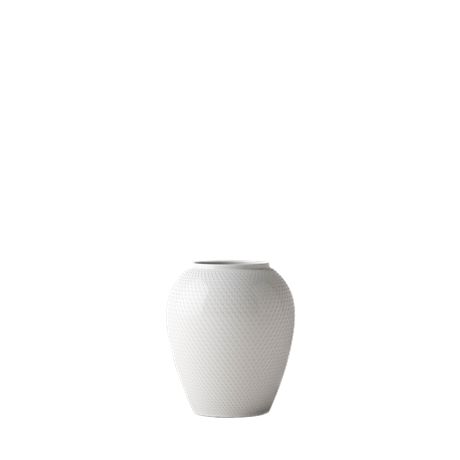 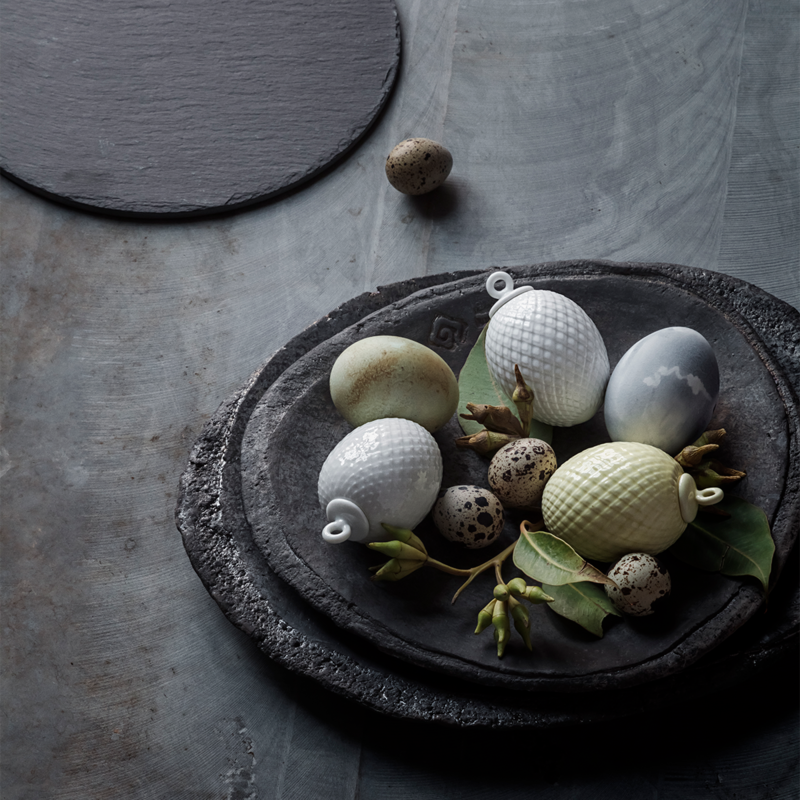 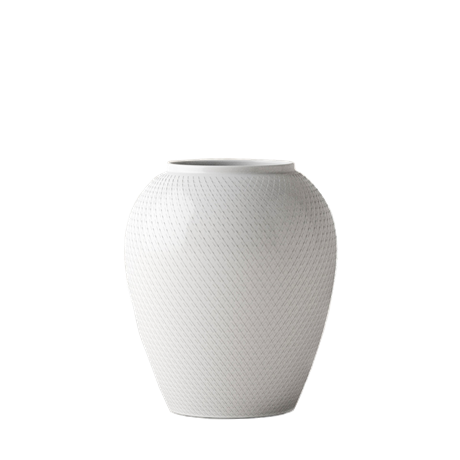 The Easter egg is 7 cm and made of the most beautiful glossy porcelain with a delicate diamond-shaped relief pattern that lends the Easter egg a dynamic, sophisticated look. The Easter hanger comes with a beautifully coloured light green silk ribbon. 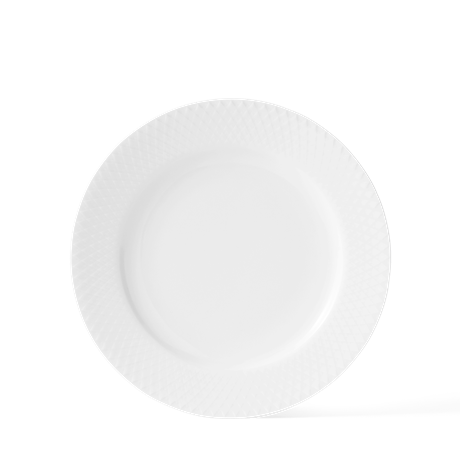 The ribbon is embellished with discreet gold-coloured print. 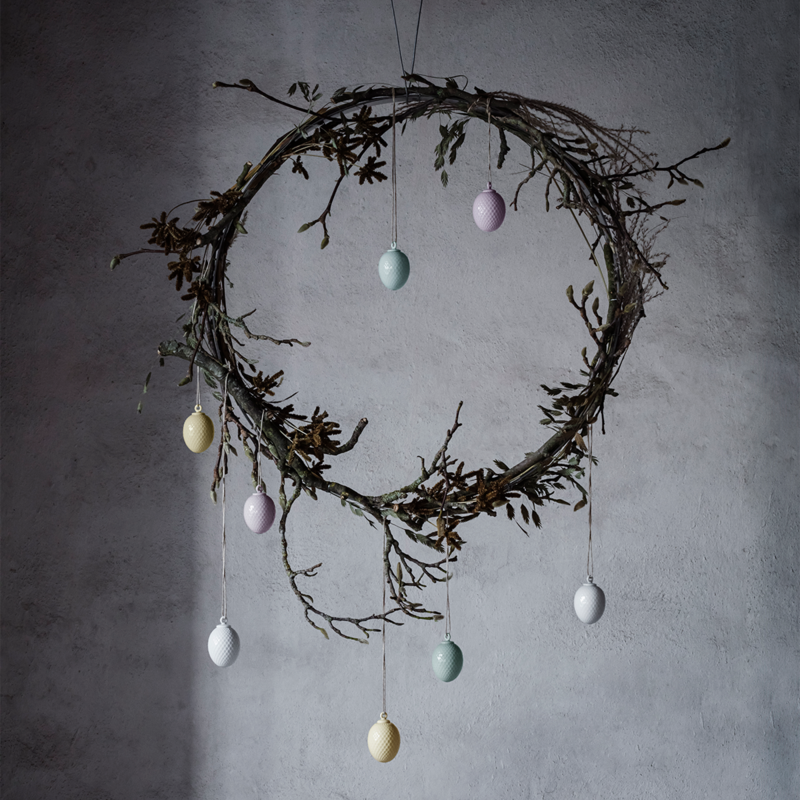 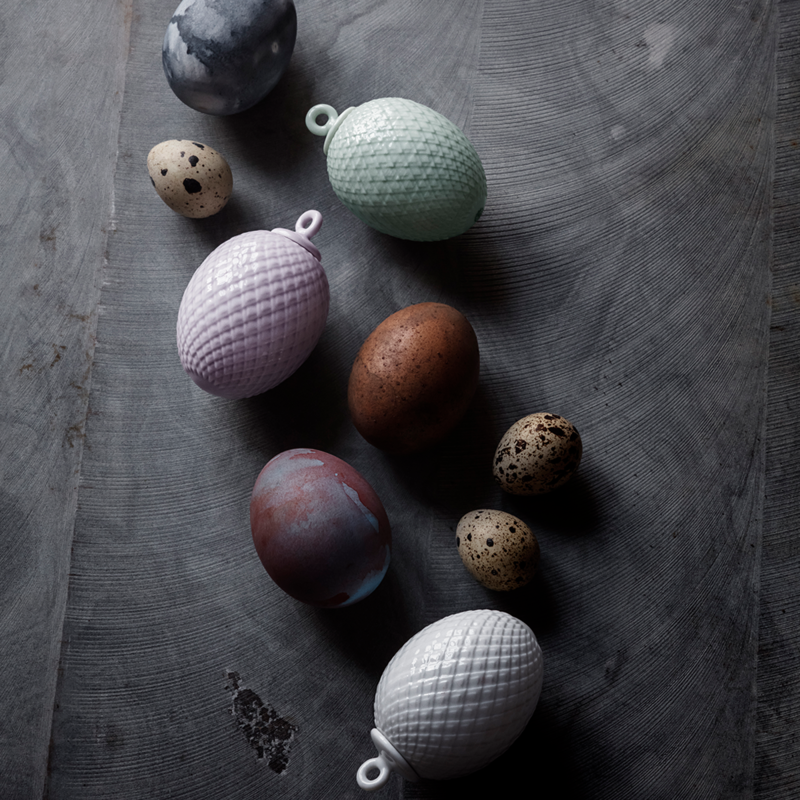 This ornamental egg is perfect on a beautiful spring twig or as a window ornament – use it throughout the year or as an Easter ornament.